You guys have probably heard of CrossFit. It’s a fitness and exercise program that people around the world can’t stop talking about. I had only heard good things about CrossFit from this guy who loves it like crazy, so when I moved to Singapore I decided to try it at CrossFit Fire City. It’s been over a month already and I can say I’m truly addicted. I remember though, the apprehension I felt before my first class. Will I be able to do anything? Will I embarrass myself? Should I even try this at all? 1. This WILL be the most intensive workout you’ve ever done in your life. So be prepared for it. It doesn’t matter if you run, kickbox, zumba, or do yoga everyday. This will be a challenge, but you will be able to see it through. I promise. 3. Every single movement is scalable. This means that you can perform every movement because it can scaled down to what your body can handle. Can’t do double unders? Do single unders. Can’t lift 30kg? Do 10kg instead. You will slowly build strength and move to more complex movements and higher weights. 4. The coaches are trained and will give you extra time and attention when you’re a newbie. Not only that, experienced crossfitters will also help you if you’re struggling. You never feel alone in the box. 5. 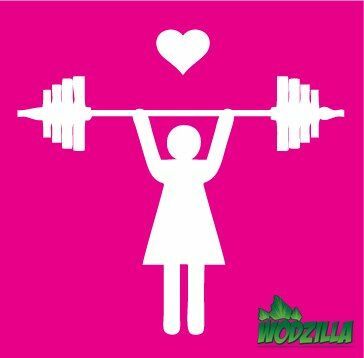 Learn to love squats. I’ve said before that CrossFit should be called SquatFit. So many of the movements you will learn depend on being able to squat right. 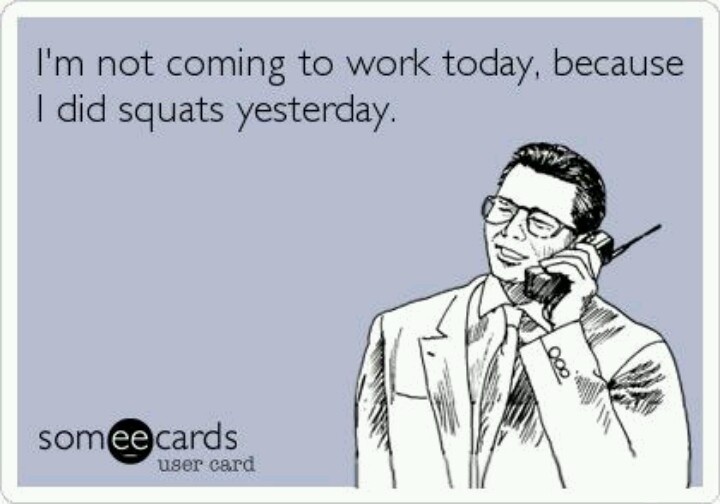 So get squatting! 6. 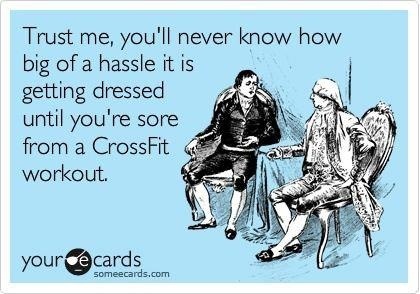 You will be sore everywhere. And I mean everywhere. In muscles you didn’t know existed. Climbing stairs will hurt. Sitting down will hurt. Standing up will hurt. The cure? Go to the next class to relax those muscles and make new ones sore. LOL. 7. You will love to hate some of the movements. Like Burpees. 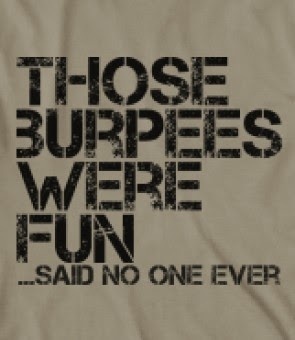 I hate you burpees. But you will do them anyway. 8. Motivate yourself to attend the first few classes. After that, nothing will be able to keep you away. Really! 9. Everyone talks about how CrossFit communities are always full of the friendliest people you will ever meet. 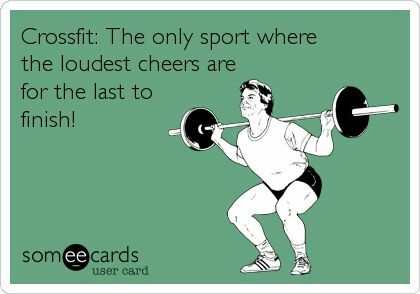 I thought this was an exaggeration until I met the folks at CrossFit Fire City. Everyone is so incredibly warm and friendly and funny. I hear that most boxes are like this – a place where you feel like home. 10. Expect to be changed – you will be stronger, you will learn to love your body, and you will feel so much more confident. So if you’re looking for a change from your usual routine, why not give CrossFit a try? And if you’re in Singapore, come say hello to the wonderful peeps at CrossFit Fire City. CrossFit is also about eating clean by the way. 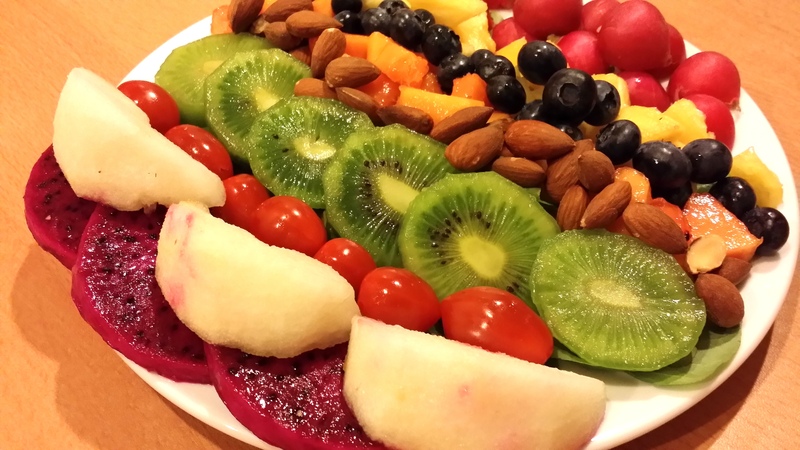 Remember my 30 Days of Paleo challenge? 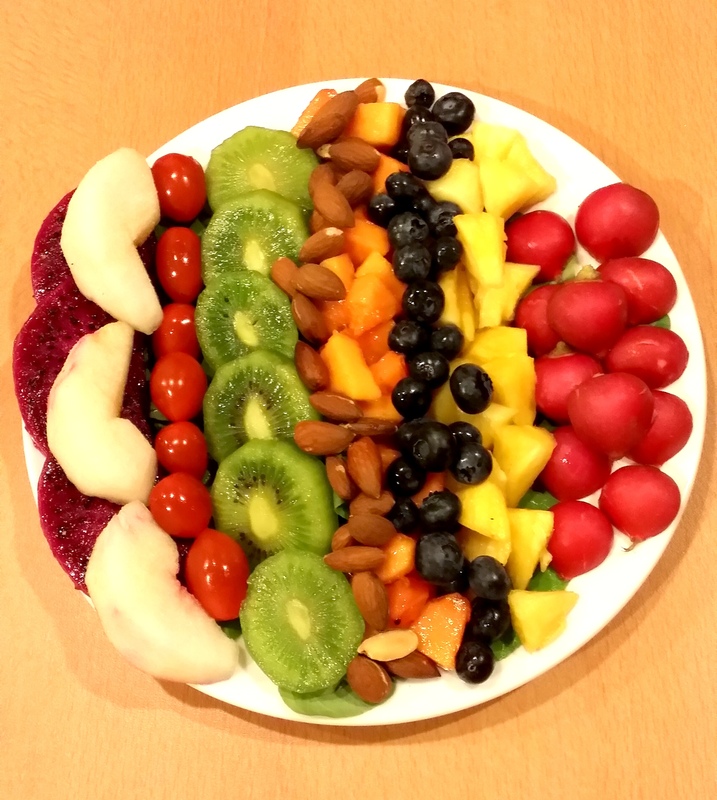 Look at this psychedelic, colour-burst salad. It’s easy to put together and makes for a very filling but packed-with-goodness meal. 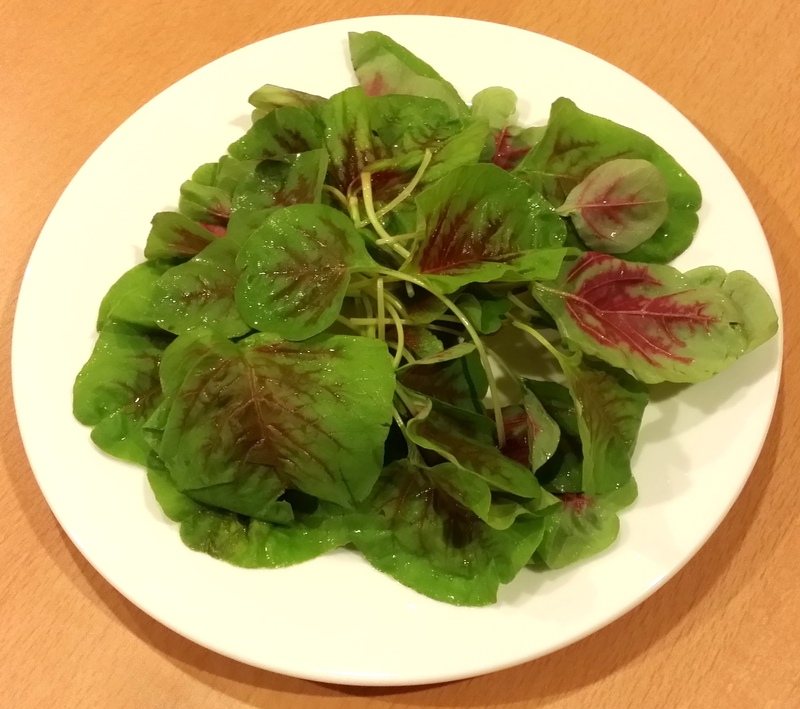 Start with some gorgeous red-green spinach. 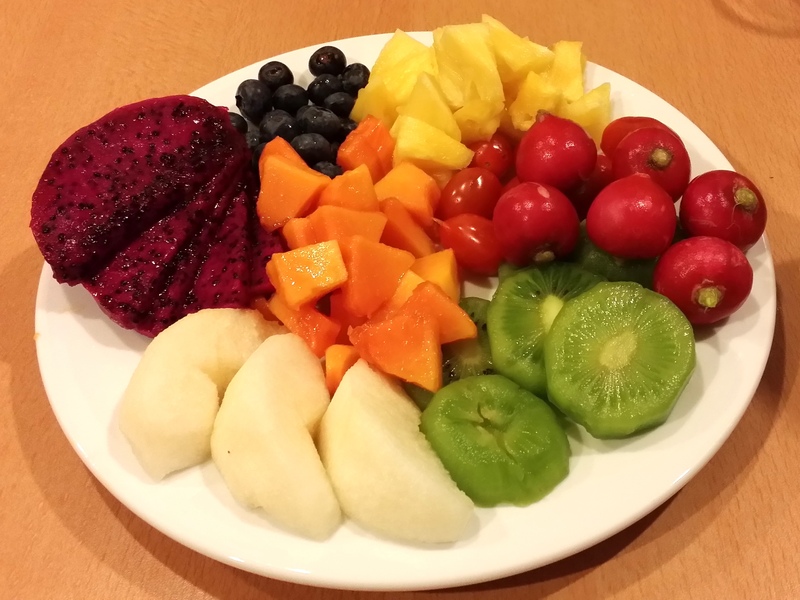 And choose all your favourite kinds of fruit and veg. Just put them together and you’re done! Super healthy. Super pretty. Super salad. 1. Wash and drain the spinach, then arrange evenly on a plate. Cover with all the fruits/veggies-you can use whatever type you like. Just make them a nice mix of colours. 2. In a small bowl, stir the honey, almond butter, and extra virgin olive oil together. Add salt and pepper to taste – a little extra pepper is nice, since it is largely a sweet salad. 3. Pour the dressing over the salad and serve immediately.